This lovely cardigan is so much fun! It is worked in Tunisian (also known as Afghan) crochet. It is an intermediate Tunisian pattern and does NOT contain a how to section (there are lots of great tutorials online, though). This cardigan is perfect over a cami or tank top and looks great with jeans! I think it would also be just right over a nursing tank--it'll cover up the ugly snaps but still have easy access! You will need a size 6 (4.00 mm) 22 inch Tunisian crochet hook for this project (mine is made by Susan Bates, but I'm sure there are other brands out there, too, that make these). The pattern is written for sizes small-large, although it is pretty easy to adjust for smaller or larger sizes (very basic instructions are included for this, and I can help if you need!). Oh, and the back will turn out straight! I guess I didn't realize it was crooked for the picture! I only have the Word Document version available at the moment, but I will have the PDF version as soon as possible. 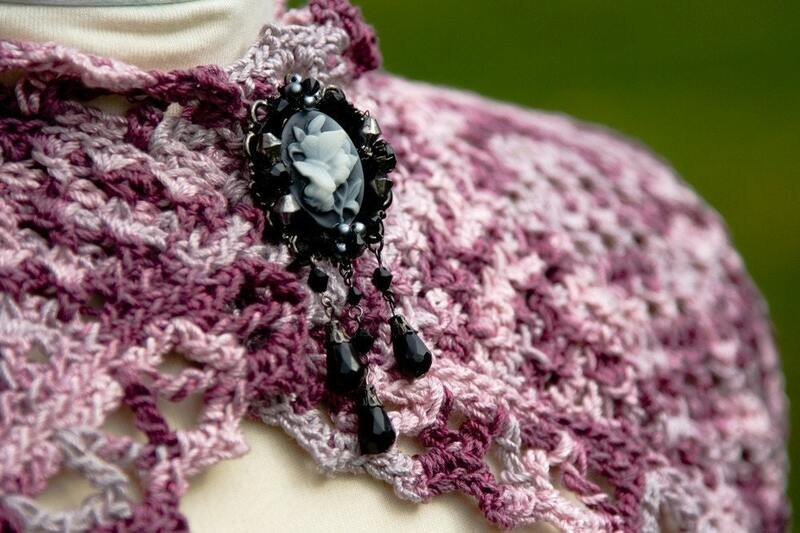 I will email the pattern to you as soon as possible after payment is received (usually within 24 hours). PLEASE NOTE: I check email Monday through Saturday ONLY, so if you order on Sunday, you will receive your pattern on Monday morning. This pattern will be available for sale as soon as payment is complete.